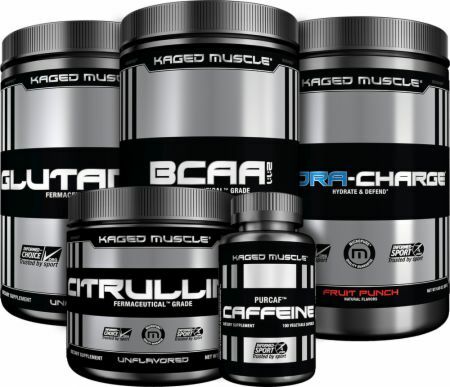 Mix Your Own Stack by Kaged Muscle at Bodybuilding.com - Lowest Prices on Mix Your Own Stack! Most glutamine supplements you see in themarket are from shellfish, human hair and bird feathers which is not the cleanest source for L-Glutamine. Fermented L-Glutamine is the purest L-Glutamine you can buy. It's all vegan, non-GMO, free from impurities, heavy metals and hidden micro toxins. Glutamine is the most abundant amino acid in the human body. Though not considered an "essential" amino acid, it is without question a "conditional" amino acid. There are 3 unique yet interwoven factors that can dramatically increase demand for glutamine within the human body; these include enhanced muscle exertion and recovery, immune support and gastrointestinal health. Kaged Muscle instantized BCAA is a mixture of THREE branched-chain amino acids formulated into the most proven 2:1:1 ratio (L-Leucine: L-Isoleucine: L-Valine). The unique features of Micropure instantized BCAA include its vegan and non-allergenic source, rapid dispersion in cold water, and quickly forming a clear aqueous solution. L–Citrulline is an amino acid that has been found to play an important role in nitric oxide (NO) metabolism and regulation. L-Citrulline is converted to L-Arginine in the body, leading to increases in both L-Arginine and nitric oxide. Increased production of nitric oxide promotes vascular dilation, which helps support normal oxygen and blood circulation throughout the body. Bought this stack and the creatine and use it for 4 weeks now. Didn't expect it but, it is doing me well. Have a physical job and sip on it all day by mixing it in a 12oz bottle. Gave it an 8 because of the price... Will order that stack again. 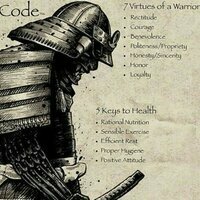 everything you need in one go. just makes life easier when ordering. i have to add more to the order as i go through 2 hydra charge per bcaa and glutamine tubs . Directions for Mix Your Own Stack: Follow the directions on the products' label. Warnings: Read the warnings on the products' label.